Join us at IBIE 2016 in Las Vegas, NV! In early October, over 20,000 baking professionals from 100 countries will gather in Las Vegas, NV for IBIE 2016. This trade show is the largest event in the U.S. for the grain-based food industry with 800+ leading manufacturers and suppliers showcasing their latest and greatest offerings. The American Bakers Association (ABA) and the Baking Equipment Manufacturers and Allied (BEMA) host this show once every three years to highlight the latest equipment, technology, products, and resources within the retail baking industry and also tortilla, snack food, and pizza sectors. In addition to perusing the show floor, attendees can register to attend educational seminars, and can view product demonstrations as well. IBIE will take place from Saturday, October 8th – Tuesday, October 11th, 2016 at the Las Vegas Convention Center. Come visit Masipack at IBIE! We will be at Booth #9809. Our team is looking forward to catching up with clients and meeting new attendees who may have packaging needs. 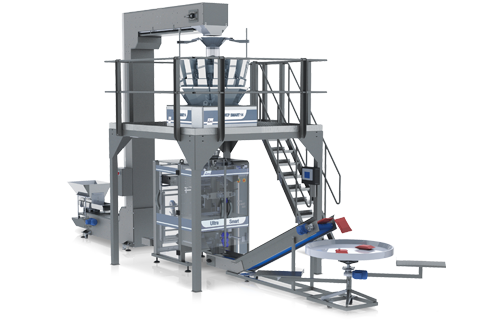 Our machines can package raw ingredients as well as finished products; if you’re looking to package something that fits this description, you will love what we have to offer. We will have our equipment on display and ready for demonstration. We hope to see you there – you’re in for a treat!